The legal professionals at Affordable Arizona Divorce understand how difficult divorce is, especially when children are involved. We are happy to help and will guide you each step of the way. We offer low-priced legal solutions. When you expect to go to court. Will usually need process service. Judge will settle custody disputes. Court will decide child support. There will be one court appearance. Can take as long as 5 months. Price Includes Property / Debt! Not Sure Which Type of Arizona Divorce With Children Services You Need? Do I need an attorney for an Arizona divorce with children? Are you and your spouse considering divorce, but not sure if you need an attorney? Whether or not you need an attorney for your Arizona divorce will depend on a variety of factors. 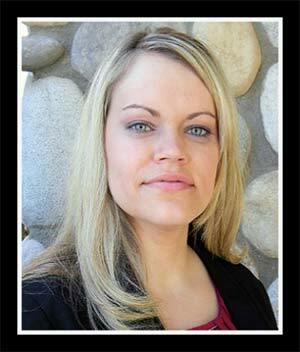 An Arizona divorce with children addresses several major areas. First, it dissolves the marriage. Next, and most importantly, because the divorcing couple has minor children there will be orders addressing custody (legal decision-making), parenting time, and child support. Like all divorces, an Arizona divorce with children also includes a division of property, assets and debts. Finally, if either party qualifies, spousal maintenance (alimony) will be determined. In order to decide if you need an attorney, you must first determine if you and your spouse will be able to reach fair and equitable agreements regarding the custody and support of your children, division of your property, assets and debts and an award of spousal maintenance without the assistance of attorneys. Let’s explore all of these terms, so you can decide if you really do need to hire an expensive divorce attorney or if you should consider certified legal document preparation to achieve an affordable divorce. Sometimes, child custody cases go to trial. However, in Arizona, the majority of couples with children get divorced by consent. There are many reasons for this, but the one we hear most frequently is that they “don’t want the judge involved in their lives.” We can certainly respect that. If you and your spouse can agree on custody and parenting time- which is normally the most important issue to couples- we can draft a consent decree and neither of you will ever have to go to court or see a judge. Most of the time that children are involved, our clients tell us they want an “uncontested divorce” because they are amicable. However, that does not mean we can’t help you if your spouse contests your terms. If your spouse contests papers that you serve, we can help you prepare for mediation and trial (if necessary). And if you were served on the other hand, we can help you contest- which means to draft a response to the papers you were served with. In an Arizona divorce, custody is formally referred to as legal decision-making. Joint custody, where the divorced parents share equal decision-making authority, is the most common form of custody in Arizona despite the misguided belief that Arizona is biased toward mothers or that fathers don’t get custody. So long as there are not any substantiated concerns regarding a parent’s drug or alcohol abuse, child abuse or neglect, criminal history, domestic violence or severe mental health issues, the Court typically believes it is in the children’s best interests that both parents be involved in raising their children. Besides the aforementioned major areas of concern that would typically warrant an award of sole custody, if one parent has been absent or extremely uninvolved with the child the Court may find that sole custody is appropriate. When one parent has sole custody, they have exclusive decision-making authority over their children’s lives, including medical and educational decisions, as well as religious upbringing. It is important for parents involved in an Arizona divorce with children to understand that joint custody does not automatically mean equal parenting time with their children. Although parents frequently decide on a parenting plan that works best for them and their children, it is not always evenly split 50/50 between parents. The children’s best interests must always be taken into consideration. In some instances, it is best for parents to share 50/50 parenting time and other times it is best for one parent to be designated as the primary residential parent with the other having less parenting time. A document called a Parenting Plan must be created and submitted to the Court in every Arizona divorce with children. The Parenting Plan must address regular day-to-day parenting time, holidays and vacations, as well as provisions for transportation, custodial exchanges and parental communication. Each and every parent of an Arizona child has a legal obligation to provide support for their child. When parents divorce, the amount of support each parent is required to provide is determined by the Arizona Child Support Guidelines which serves to establish a standard of support for children consistent with the reasonable needs of children and the ability of parents to pay. In order to do so, the Court has developed a Child Support Calculator that considers the number of children, the ages of the children, the incomes of each parent, the amount of parenting time each parent spends with the children and other factors such as health insurance and daycare expenses for the children. After considering all of these factors, the Child Support Calculator provides an amount of monthly support to be paid by the owing parent. Unless the parents agree or the Court finds that a deviation from the calculated amount is appropriate, a Child Support Order will be entered requiring the owing parent to pay. 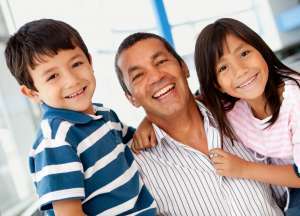 In addition, the Child Support Order will identify which parent is required to pay for and provide health insurance for the children, in what percentage uncovered medical expenses for the children are to be paid and a method for reimbursing the parent who incurs such costs, as well as which parent is entitled to claim the child dependency exemption on their taxes each year. Now that you have a basic understanding of the factors involved when a couple is obtaining an Arizona divorce with children, let’s look back at our original question. Parents can, hopefully, see through the cloud of divorce and realize that their children’s best interests – not their own personal agendas – are what is the most important thing to consider when it comes to custody, parenting time and child support. In that case, so long as parents are dedicated to making decisions that are in the best interests of their children (which is also the standard the Court relies on) they could very well accomplish their divorce without incurring divorce attorney fees. If you remain focused on your children and dedicated to doing what is best for them, there is often no need to hire an expensive attorney or allow a Judge who doesn’t know your family to enter final orders. 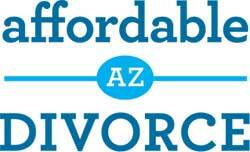 Contact us today to learn about our affordable Arizona divorce with children legal document preparation services. The children are obviously the primary focus of an Arizona divorce with children, however couples must also address all the other aspects of divorce. 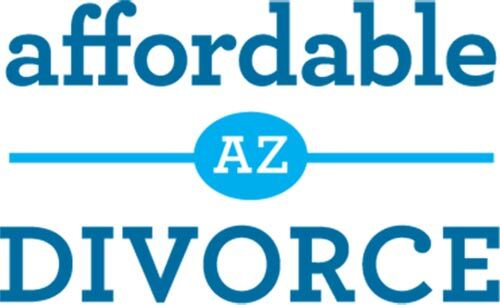 Visit our Divorce With No Children page to read about division of property, assets and debts, as well as spousal maintenance and how you can obtain an affordable Arizona divorce.